It all started with a religious ceremony of making sacrifices in the name of God Zeus, the king of Greek Gods. Olympia was the place where the first event of ancient Olympics took place in 776BC. The ancient Olympics history tells us that the event used to occur every four years until around 394AD when finally a Roman king Theodosius I put an end to this event. Games like wrestling, javelin throw, running race and boxing were some of the most common ones played during this period. Centuries later, after Greece got its independence from the Ottoman Empire, the concept of revival of the Olympics was first proposed in 1833. With the efforts of Evangelos Zappas, a philanthropist, the Olympics finally began in 1870. However, it was Baron Pierre De Coubertin, who, after watching 1890, became a primary factor in the creation of the International Olympic Committee. The first Modern Olympic Games hosted by the committee, as held in Athens, Greece in 1896. Over the period of years, the International Olympic Committee felt the need of organizing a separate event for winter sports. This led to the foundation of the Olympic Winter Games as it is known officially. One of the most monumental Olympics history locations is Chamonix, France, where the first Winter Olympic Games were held in 1924. The five official Olympic games in this first iconic event were skating, bobsleigh, Nordic skiing, curling and ice hockey. Pierre De Coubertin created the famous flag of the Olympic Games in the year 1914. The flag has five rings interlinked with each other. The flag still remains the same. These rings represent five major continents (North America and South America being considered as one) which take part in the Olympics and how they all form a bond through these games. Moreover, at least one of the colors amongst all the six colors in the flag is present in every flag of the world. The symbol of the Olympic Games, the Olympic flame, is in the memory theft of fire by Prometheus from Zeus. It is still being lit in Olympia by 11 women using a parabolic mirror to reflect the sunlight and torch the flame. The famous marathon run is said to be originated in the memory of a Greek messenger Pheidippides, who died after running from Marathon to Athens to report a victory in the war. The Gold medal in the Olympic Games is not actually made of gold. However, until the year 1912, it was. The word gymnasium came from a Greek word which means naked. This also justifies why in the ancient Olympics contestants were completely naked. The Olympics were broadcasted on the Television for the first time in 1936. 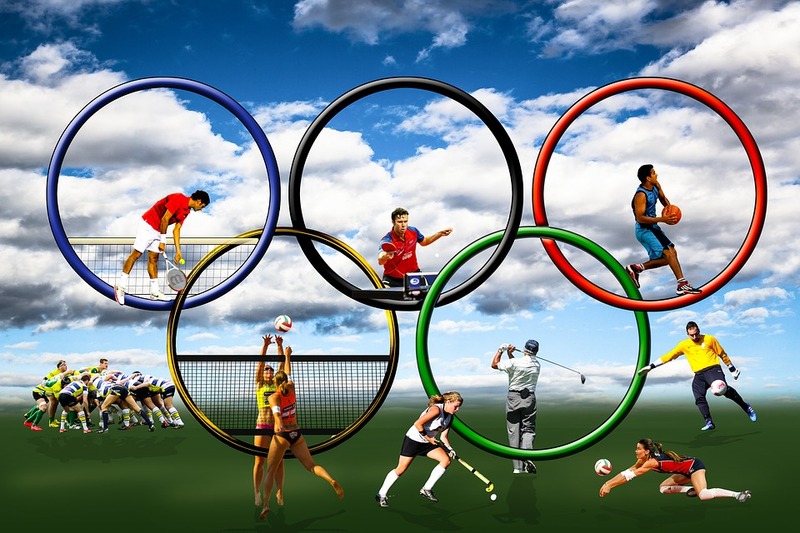 Olympic Games are the ways of uniting each and every nation of the world with a healthy sportsman spirit. Several thousands of sportsmen prepare for this iconic sports event, but only a few get to take part and ending up with only three winners. However, the participants should keep in mind that it is not the triumph that matters the most but the struggle. The face of modern Olympic Games has changed with certain set of rules which the aspirant must be aware of.